Have you ever wondered which are the best events in December and what to do and see when living in South Africa? In our listing below we have included the most popular December events and festivals for all provinces. These South African events are listed with links to event organisers so you can get more information and find out where to buy tickets. Enjoy the festive season in South Africa! And if you like this page, please spread the word and share our information with your family and friends. What's on in December 2019 in South Africa? HSBC Rugby Sevens at Cape Town Stadium. More info. Mother City Queer Project. More info. Public Holiday. Day of Reconciliation. More info. Public Holidays. Christmas Day and Family Day. Most shops in South Africa are closed on 25 December 2019. New Year's Eve Parties and Concerts. Shops close early. There are many other events such as exhibitions, shows and markets that cater not only for trade visitors but also are open to the public. The events in December listed below provide great insights for living in South Africa. Christmas Markets and Festive Fairs all over South Africa. Support local artisans and crafters and enjoy the atmosphere. View our listing of some of the best Christmas markets here. please go to our special page on ExpatCapeTown. Looking for more info on what to do in South Africa in December? 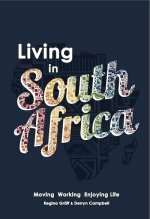 Get great insider tips and insights into living in South Africa in our new book. Image Credits for Events in December: Courtesy of various events organisers, shutterstock and own images. Your book is fabulous. It will be of great benefit to any inbound expat to the country.